Mizuko Ichikawa sighs as she looks around Karakura Town from the top of a tall roof. Just how did I get here again? she askes her self as she looks around. She knew, she just didn't want to face the facts. She had been assigned here by her Division Captain. She had been assigned her due to her need to work better on her skills. She had been very lazy as of late and it was begining to show in her day to day activities. She also was getting a little pudgy from her lack of exercise. So her Captain decided that, to get some exercise, she would got to Karakura Town and take care of any hollows there. She realldy did not like this assignment, but she knew she needed to follow orders or she could loose her life. 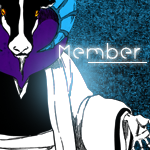 She had wanted to continue to relax in the peace and quiet of the Soul Society, but knew that could not happen. She Soon jumped off the building she was standing on and began to walk around the streets. She soon started to feel tired as she was walking. She then begins to think that maybe her Captain was right. She did need to loose a bit of weight. She sighed again and continued walking, looking around to see if she could find anyting unusual. She walked through the quiet streets towards where the business were. She felt that there was not much going on in the residential area. Not only that where she was heading was not that far away. She could always make her way back over there if she needed to. As Mizuko is walking through the many stores in the business area she soon spies a candy store. She looks down in her bag and notices that she is indeed running low on her favorite sweets and chocolates. "Seems like now is as good of a time as any to stock up. I never know when I may need these next." she says to herself and walks into the store. She then grabs a basket and begins to load it up with some of her favorite treats. "Quiet, you. You'll scare off the tasties." "Shush! Here comes one now." If she was the real deal, she would be their first meal in ages. The voices hadn't been people - they were objects. Simple, ordinary, everyday objects. But only one was seen. A simple blue mailbox on the curb, just outside of Wally's candy store. It shook strangely as it spoke, but for the most part, you could not tell that it had been speaking. But the other voice remained uncertain, except that it was coming from across the living mailbox. The doors of the store vibrated with each word until... teeth poked out from it's entrance? Eyes lurked behind the windows, until the wooden blinds closed, obviously to hide the gory creature lurking inside of the facade. The teeth pulled back into their hidden sockets as the shinigami girl drew near, and the mailbox stopped trying to walk. No one expected buildings or structures to be Hollows. That was how they lived so long - no one saw them coming, they'd lived for centuries. But food had been scarce these days. The candy store didn't get too many visitors anymore... as Mizuko entered, there was no one working at the counter. The register was off. But the lights were on. And the room was filled with plenty of treats, some in glass spheres you had to put coins into to get the candy out, others in colorful plastic boxes, and many in pretty cases on the shelves. The Hollow took pride in it's work. The floorboards below were colored in many pretty colors, but the tentacles that slowly crawled up beneath them were a boring grey... wait, tentacles? The windows cracked, and were crunched shut by masses of teeth, sealing the windows and doors as the house showed it's true nature. Huge, bulbous tentacles ripped through the floor, and swirled around Mizuko, before moving to ensnare her with their slimy grasp. As Mizuko walked around she began to see something down at her feet. At first she thought she was seeing things, but as soon as she heard the voice she knew something was truthfuly wrong. She looks around her as she began to hear the windows cracking and being crunched. She soon began to panic as she saw the tentacles ripping through the boards in the floor and swirling around her. She took a deep breath for a moment before the tentacles reached for her. Thinking quickly she jumped back a bit. She then raised her hand and called out, "Hado number 33, Sokatsui." With that the tentacles that were closest to her were blown back or taken off. She smiled a bit and then began to run towards the enterence she came in through only to find it blocked due to the hollow. "How can I have nto seen this comming?" she said as she droped all the candy in the basket. She then drew her sword and starts to slash at some of the tentacles that are still comming through the floor. "Let me out of here you vile thing." she said, still swiping at the tentacles. This continued for a short time untill she began to feel slightly overwhelmed. She soon figures that it might be best to use shikai. "Rain down from the heavens and crush our enemies, Selece." she says. Her zanpakuto then changes to a thin but powerful rapier that is almost as tall as she is. The blade is silver but looks like it's made of water. Mizuko then concentrates and a large amount of water forms right along the roof of the room. This soon freezed and turns to a large group of ice needles, about 100 of them. She lowers her hand and the needles begin to fall down, going in all directions. She only hoped this would be enough as she attempted to get out the door. 5000 P Awarded. You may now create your stats in the Character Information section. If you would like help, contact me or another staff member.